The same image of the last post, plus two images that I really will love to have beautifully printed. But, art is not a safe place, when it becomes so efficient that you can count with the notion of control it becomes BORING. At least for me off course, I lack the patience or is simply that I’m unable of find stability in anything. Anyway… here we go again. 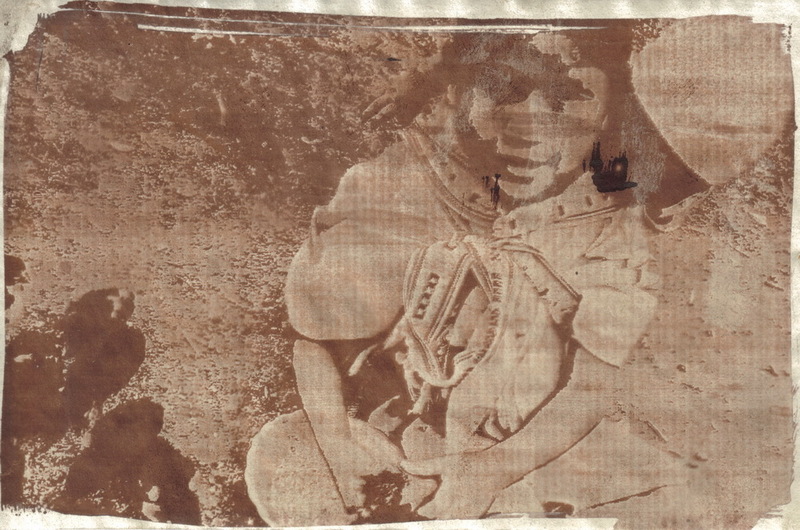 Salt print, image from the web employed as a learning tool, original from Carmelo Blázquez Jiménez. Canson paper. Original image from Carmelo Blázquez Jiménez, you can see it here. The two images I love so much. The first one is from Miguel Boller a friend with whom I’ve been working recently in projects of design about the Nasa People, their history and traditions<. I think the problem was the salt, still dealing with that issue. Salt print original of Miguel Boller, watercolor paper. The second one is another image I really love. Is from Javier Liz, you can see the original here. It reminds me so much of my bro Yuluts and even of my own childhood when in vacations we traveled to my grandma’s house. Before and after fixer scans. Javier Liz’s image, salt print after fixer, watercolor paper. 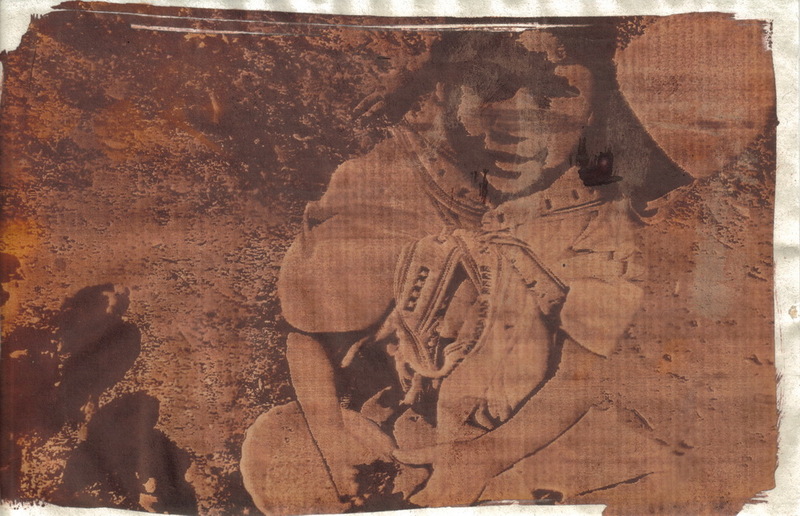 Javier Liz’s image, salt print before fixer, watercolor paper. There was something with the chemistry those days, the black stain again, in these photographs I really don’t like it. Read more "Salt prints – Not setbacks only learning curve"
There’s a great short article of Gonzalo Bénard called: Anonymous: defaced, unfaced, 2faced and overfaced, in it he talks about the very common “de-identification of one” in photography. I differ a bit of Bénard appreciation about the possible origins of this practice, for me that process is directly linked with one of the basic frames in which photography was born: The industrial era, and with it, the speed of life and travel. That velocity loved for the futurists have the effect of blur faces, landscapes and even relationships. Every day we see hundred of people in an small travel downtown, to the work or in a trip. But almost all the faces of those people are not more than shadows erased by the speed of our journeys. We have become faceless people among streets full of faceless people. We can cope with all the visual input we receive and for that reason our brains have to decide what deserves a minimum of pregnance in our mind, the rest is blurred. Thinking about the psychological consequences of that new reality I always end with the sensation that in some way we have been becoming small versions of Griffin and how H.G. Wells predicted the consequences of a world without faces. This is another version of one of those images I took from the internet and try to use as an step in my learning process. You can see the other version here (gum print) and here (salt print – double exposure). 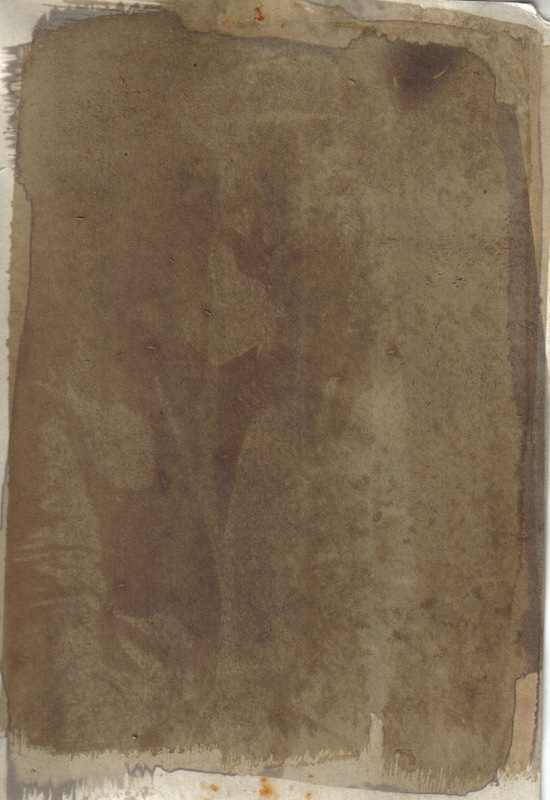 Is a salt print over watercolor paper, I don’t know why the black stain on the image, but was love at first sight and that force me to think once again about Gonzalo’s Essay. Read more "Faceless – salt print"
Self portrait, experimentation with digital sabatiers and HDR captures. I have bipolar disorder and there’s always an overwhelming feeling of loneliness, an inability to explain to others what means to fight all the time with your own mind. That’s a recurrent theme in many of my selfportraits, that’s my own therapy and my way to channel the intensity of some of my mood changes. 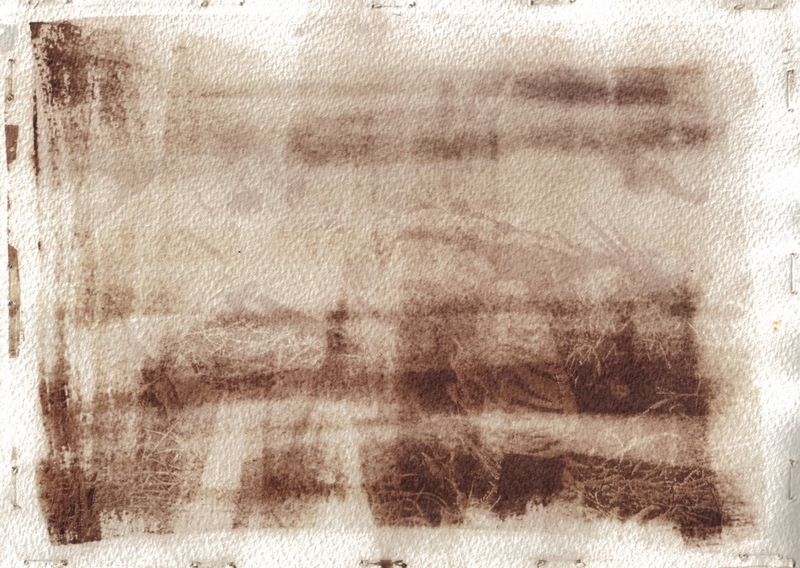 Read more "A desolation: Digital version"
In process: Gum print over salt print. I think I’m obtaining consistent results. All is matter of time in life indeed. 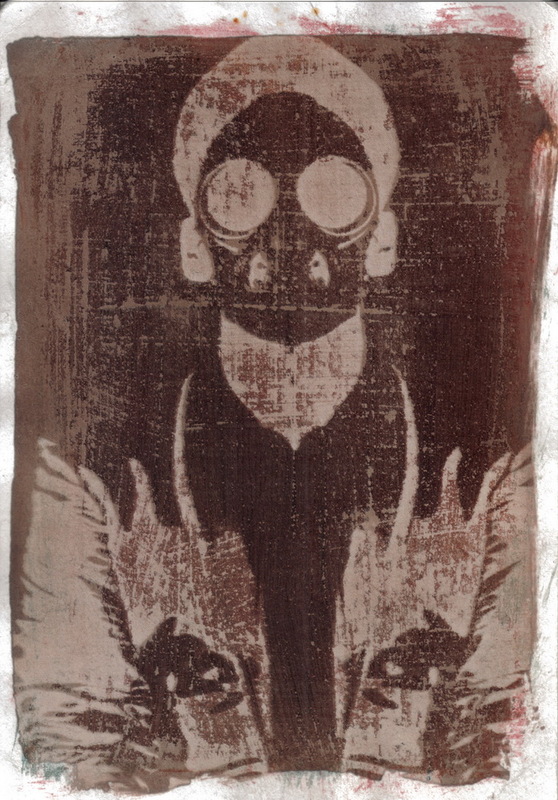 The image before the salt print layer can be see here. Read more "In process: Gum print over salt print." Photography and fetish. Christian Metz. Create a new photgraph employing two differente photographs is to play with time, with two slices of time together and pressed one against the other and then cut a new slice of time. Shadow of the self is a project that deals directly with death, not the big Death, the definitive one; instead deals with the daily inexorable spiral of enthropy “le petite morte” (yes there is a game in the reference) in which all in the universe is immersed. As usual it is also about dualities: before and now, anima and shadow, eros and thanatos. 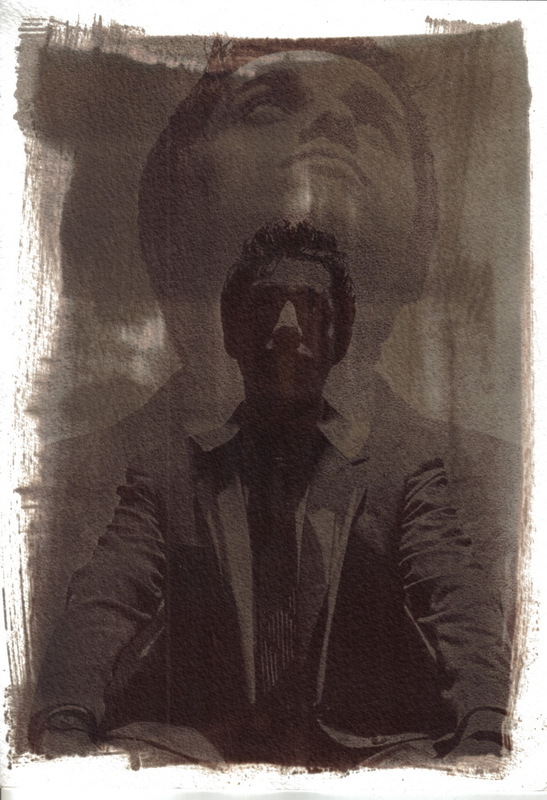 Salt print over St Cuthberts Mill Paper 300grs, A3 size..
Model my bro JJ Calderón. Two negatives from the series Little god father. Salt print over St Cuthberts Mill Paper 300grs, A3 size..
Read more "Things to come: Shadow of the self"
The other project in development, going back to the photographs I’ve seen all my life, the ones in the family album. I’ve came back to some of these images a couple of times in the past, now I pretend to develop some kind of “Barthesian” exercise in pursuit of the punctum and reproduce some of these images (taken by my dad in its majority) with antique techniques. My bro, a little nudist. 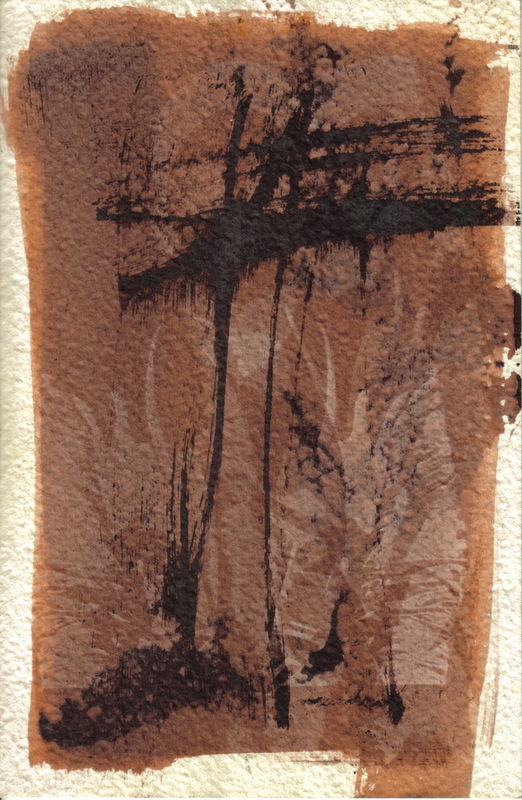 The gum bichromate version is here. The text in which I try to clarify my ideas behind this project is in process. From the family album, salt print. Read more "Things to come: Blood is thicker than…"
I have a couple of series in development right now. One is Shadow of the self, double exposures with negative images related conceptually, something like that I’m still in the process of write the ideas behind the project. In any case the series follow the steps of the image selected in Varna and play with similar technical needs. This image is a test, a failed test. I love toimprint my hand gestures at the moment of apply the Silver nitrate, but some times I lost myself en take it so far that the image suffer from it. Sometimes seems that I have to remember to be just crazy enough. Two different negatives, one from a photograph of my bro’s “trompos”, are hand made by people of his Reservation. And the other one is the portrait to which I come back over and over again. To be honest the composition is a mess to, but is part of the process. But on a second thought, I maybe have to stop fighting against my tendence of be an emptional extremist. Read more "Salt print: Shadow of the self test"